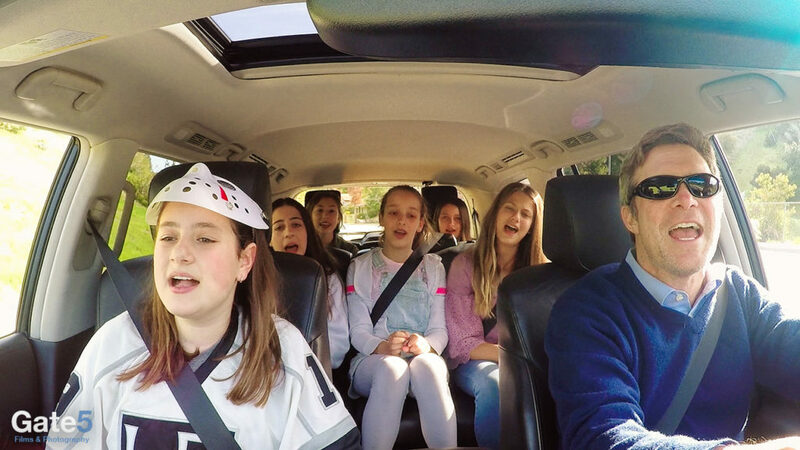 Kids carpool karaoke, a video we shot for a client’s daughter’s bat mitzvah. The production included six karaoke songs, each scene has a fun, humorous story that leads up to the group getting in the car and singing with dad. The songs featured the daughter’s teenage friends, family, mentors, a cop and even a surprise visit by a music star (not literally but virtually with a little editing).